Well meaning people often try to comfort themselves by thinking that racism is something that is only found in a few backwater states or among low class low iq people or a problem that can be dodged by wealth, correct diction and classy style of dress or something which will be reduced if not eliminated by the vigorous application of free market principles. Unfortunately none of those statements are true. Racism is worldwide. There's no place in the U.S. which is certifiably racism free. Something as innocuous as attempting to purchase goods or services can be dangerous to your emotional and physical well being. Maybe it's waiting for a restaurant table longer than everyone else or being refused entry into a nightclub. Maybe it's being followed around a store because the employees automatically assume you're a thief. Maybe it's a clerk who wants two pieces of ID when you pay with a check or credit card when you just saw her decline to demand the same of the white customer in front of you. Maybe the landlord who agreed over the phone to rent to you has just rented the unit when he sees you in person. Whatever it may be, spending money with people who dislike or distrust you isn't a good idea. Often their animus can be far greater than their desire for your money. And many people who think this way won't shy away from letting black people know how they feel in word and deed. A recent example of this caught my eye. 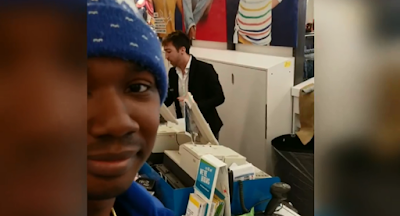 A black man named James Conley III walked into an Old Navy store in West Des Moines, Iowa. The store staff accused him of trying to steal the jacket that he walked into the store wearing. Considering the times in which some people in that situation have been known to escalate the situation by calling police or attempting to take the law into their own hands and assault or shoot a black man that they later piously claim was threatening them, Mr. Conley was somewhat lucky to escape without bodily harm. Well, at least not bodily harm that is immediately apparent. 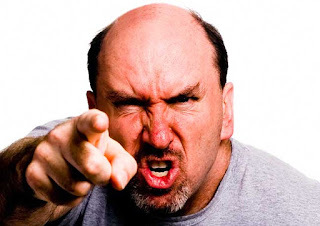 Racism causes stress via a fight or flight response. Being in that zone of fight or flight and often being unable to do either is bad for you. A lifetime of this stuff is probably related to black people dying earlier of such things as hypertension, strokes and heart disease. UPDATE: The Old Navy at Jordan Creek Town Center has reopened Thursday after temporarily closing after a man accused the store of racially profiling him. A Register reporter spoke to a store manager who reiterated a statement made by Old Navy officials Wednesday that Gap and all of its brands maintains a "zero means zero" policy and that an investigation of the incident is underway. A post on Facebook alleges that a central Iowa man was racially profiled while shopping Tuesday at an Old Navy at Jordan Creek Town Center by the clothing store's employees. You can't really change what's in people's hearts. The people in that store looked at Conley and saw a thief. But you can change the cost of expressing racism or of making up store policy on the fly and only applying it to black people. As I said this kind of stuff is by no means specific to any one state. It's far from uncommon. A black woman in my state just dealt with the same thing. The police were called on her for the crime of spending money on her credit card. Racist whites look at a black person and immediately assume that he or she must be impoverished and criminal minded. It's not about gender, sexuality, age, wealth, diction or anything other than race. The people harassing Conley in this video may be otherwise nice people. I have no idea of their politics or surface level comfort with black people. But when the rubber meets the road they are willing to immediately default to racist behavior. So it goes.